Universal Cage Grab Handles (Pair). 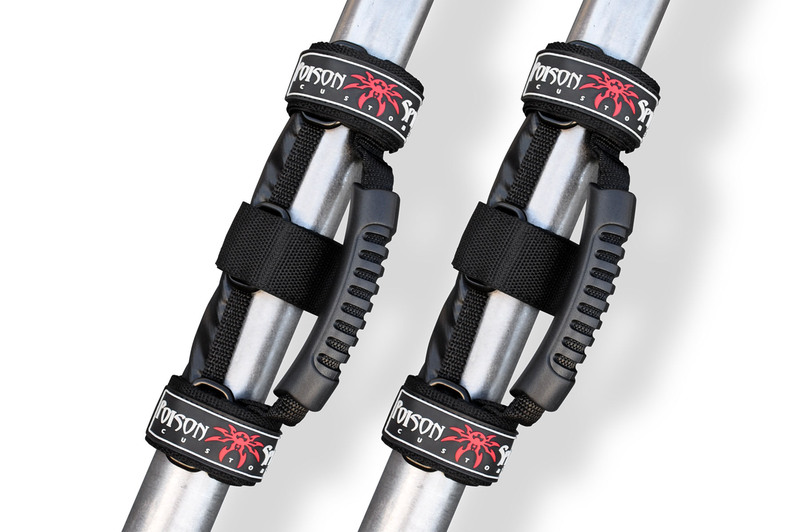 The Poison Spyder Grab Handle easily mounts to any roll cage tube and provides a safe grab handle to either help you get into the vehicle or hold yourself in place while bouncing down the trail. Universal fit for both bare cage tubes and padded cages. Made of high quality nylon webbing with sturdy injection-molded handle and Poison Spyder tag. Price is for two (2) Grab Handles. Proudly Made In the U.S.A.